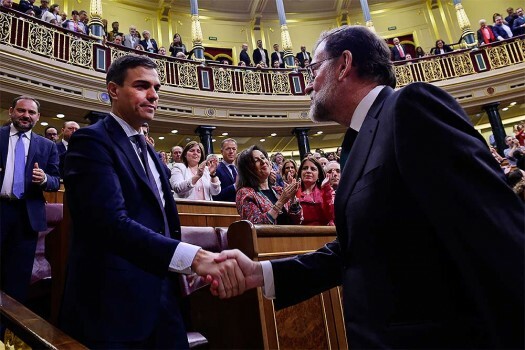 Spain's Prime Minister Mariano Rajoy, right, shakes hands with socialist leader Pedro Sanchez after a motion of no confidence vote at the Spanish parliament in Madrid. 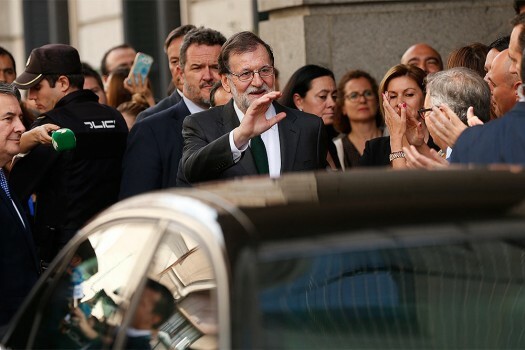 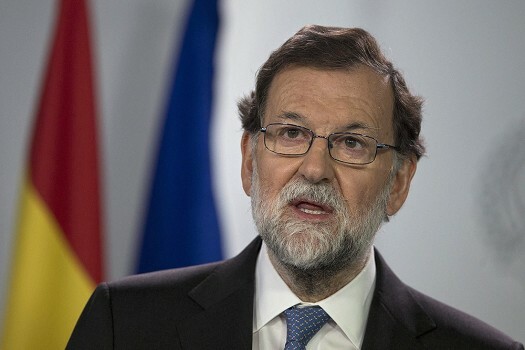 Spain's Prime Minister Mariano Rajoy waves on leaving the parliament after a motion of no confidence vote at the Spanish parliament in Madrid. 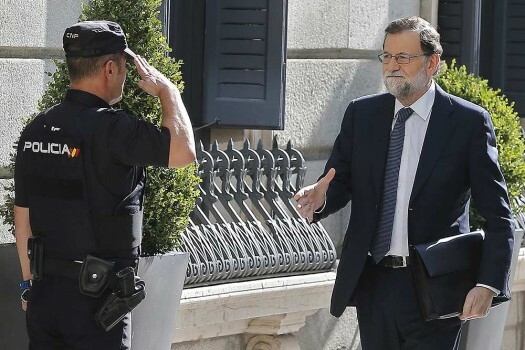 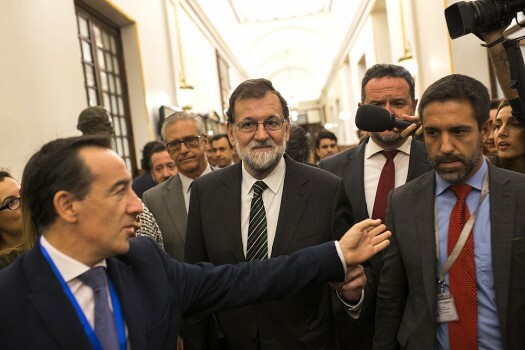 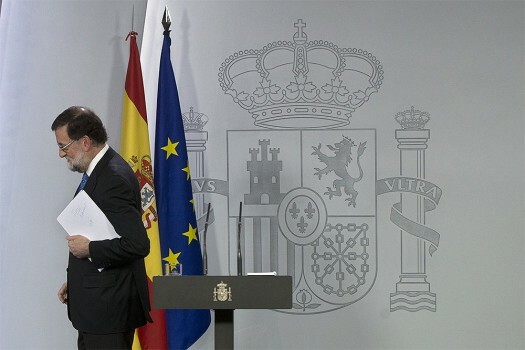 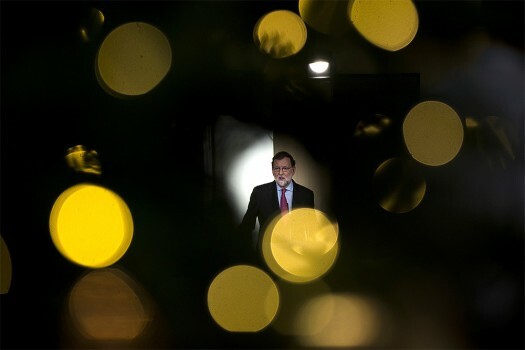 Spain's Prime Minister Mariano Rajoy, centre, is questioned by journalists as he leaves the Spanish parliament in Madrid. 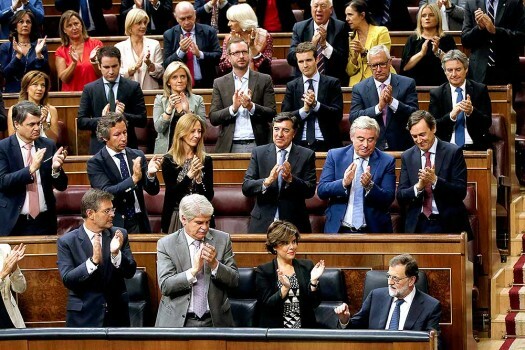 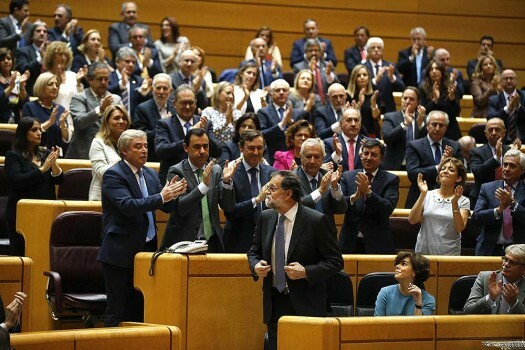 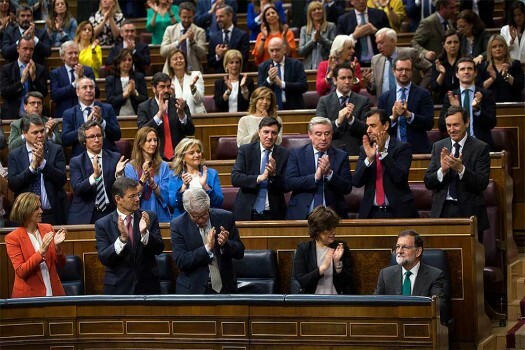 Prime Minister Mariano Rajoy, bottom right is applauded by party members after his speech at the Spanish parliament in Madrid, Spain.